On January 21st, George Soros, who has throughout his life been passionately opposed not just to communism but also to Russia, has finally stated in a Bloomberg News interview at the World Economic Forum, that the United States (and possibly the EU, but he says that the EU is in terrible economic shape itself) must now fund a new Marshall Plan for all of Europe, including, this time, even his bête noire: Russia. Previously, he had been urging both the United States and the EU to pump variously $20 billion (in some of his articles) to $50 billion (in others) more into Ukraine’s war to seize back control over Ukraine’s former regions of Crimea and of Donbass, both of which had voted overwhelmingly (75 % in Crimea and over 90 % in Donbass) for the democratically elected Ukrainian President, Viktor Yanukovych, whom Obama overthrew on 20 February 2014 in a bloody staged coup whose gunmen were mainly from Ukraine’s two racist-fascist or ideologically Nazi parties and were all paid by the US via laundered funds through the CIA. Those two regions of Ukraine are strongly pro-Russian and anti-Nazi – they were anti-Nazi in World War II, and are anti-Nazi today. However, now that the US-led effort to re-arm the Ukrainian government that it had installed, and to enable them to go to war yet a second time, attempting to seize (or reabsorb) Crimea and Donbass, has failed, and US President Barack Obama has thus at least temporarily given up in all but rhetoric his determination to enable Ukraine to crush those regions, George Soros is stepping back in. Soros had, himself, via his International Renaissance Fund, helped to finance the overthrow of Yanukovych. He is now urging that the US (and maybe Europe) help Europe including Russia, to recover from the damages that the US had imposed upon that broader Europe – imposed by means of Obama’s invasions and coups in not only Ukraine but also in the Middle East. (After all, most of the refugees into Europe come from America’s invasions of Iraq, Libya, and Syria, and from the support of jihadists there by America’s Saudi, Qatari, and UAE allies. The refugee-crisis is generated by America and its allies.) Soros says that the fleeing refugees from the Middle East into Europe will break the EU unless stopped, and that US taxpayers (and maybe EU taxpayers) thus now need to fund the salvation of all of those countries which the US – largely at Soros’s own urging and with his help – has all but destroyed. Perhaps he just wants Western taxpayers to bail him out. His comment attributes, as being the precedent for his current support of a taxpayer-bailout for Europe including Russia, his prior, 1989, support of a bailout of Eastern Europe including Russia. However, at that time, he was looking for public funds to create debts that those then-communist nations would have toward Western taxpayers. His proposal was rejected, because democracy was, at that time, strong enough in the West, so that the public’s rejection of it caused his proposal to be politically impossible to achieve. The situation is drastically different now, after the Harvard Economics Department and George Soros guided the Russian government into a ‘capitalism’ that’s crony-capitalism or «fascism», from which Harvard University and George Soros extracted billions in giveaways of state property from formerly communist countries that were insider-dealt to not only Russia’s and Ukraine’s (etc.) insiders, but also to America’s, including especially Soros himself (and that link is also here). That link presents the great Janine Wedel reporting that, as a result of one particular insider-rigged auction, «H.M.C. [Harvard Management Company] and Soros became significant shareholders in Novolipetsk, Russia's second-largest steel mill, and Sidanko Oil, whose reserves exceed those of Mobil». 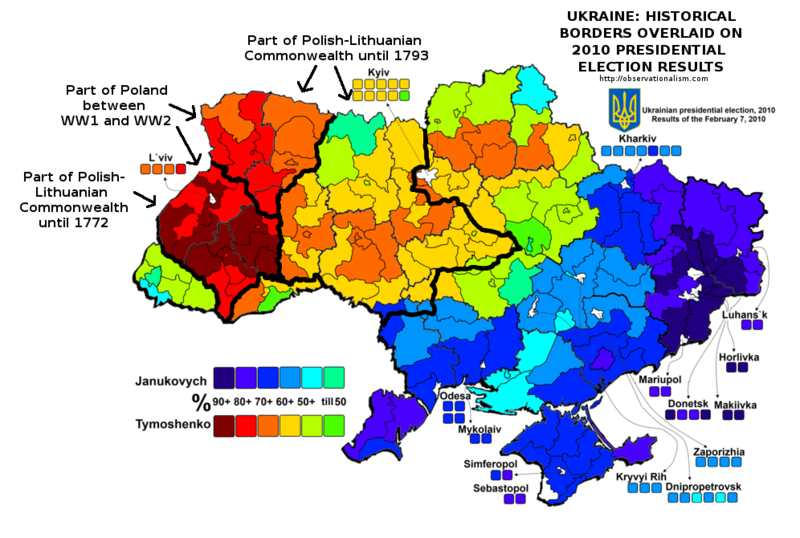 Ukraine is one of the countries that was stripped this way, and it more recently was taken over by the United States, with Soros’s help, and stripped even more. The post-Soros, post-Obama, coup-government of Ukraine is essentially bankrupt after all of their ‘anti-corruption’ verbiage has collided with their total-corruption policies in Ukraine, just as had happened under Yeltsin in Russia, so that, notwithstanding Soros’s urgings for $20B+ of Western taxpayer funds to be contributed to that government, it simply won’t happen. 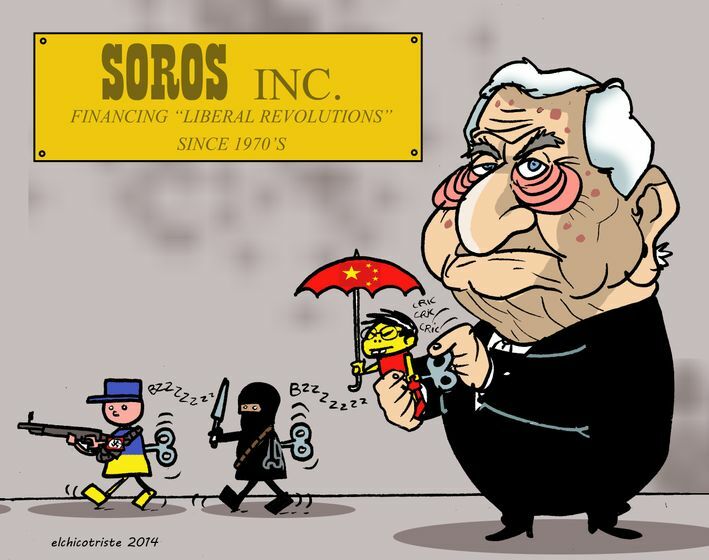 Soros therefore now is urging his new proposal for a «Marshall Plan», not only to get Eastern Europe deeper into debt to Western governments, but, perhaps, also to enable Soros’ own investments in Eastern Europe (including Russia) to turn profits for him. Only with taxpayer assistance can such investments now be made profitable. That’s the problem with private-investor meddling in foreign policies: governments become controlled by international aristocrats. The European Union is in an existential crisis, and it needs to get out of that because of the migration problem [which] is effectively distressing the European Union – it’s falling apart, and that’s a time when you need to have a major initiative, a Marshall Plan. It’s absolutely appropriate. It’s amazing that it comes from Schaivo, who has been one of the proponents of Bundesbank orthodoxy, but I have been in favor of it all along. I was propose[ing] a Marshall Plan for Eastern Europe more than twenty-five years ago [before the end of the USSR], in 1989 in Potsdam, when Potsdam was still in Eastern Germany, and I said this would be a Marshall Plan for Eastern Europe including Russia, and it should be financed by the Europeans for a change, and actually led by the – representative, who started laughing, and the front of the Algemeine [Zeitung] reported that my proposal was greeted with amusement. Now I think this proposal should not be treated with amusement. This should be taken very seriously. It’s going to have a very difficult time passing, because there’s a lot of dissension now, part of the disintegration, but I think it needs public and enthusiastic support. But I think that most people know that something has gone catastrophically wrong and it has to be put right. INTERVIEWER: Is there a danger of break-up. Last year we were worried about Greece, what should we be worried about this year? SOROS: I think Greece is still a problem. It’s the one problem that has no solution, because it has been so messed-up that you can only muddle along. But there is no solution, and actually that problem is now coming to the boiling point again. You can see it on the face of the press, but [it] is not a major problem in the scheme of things.